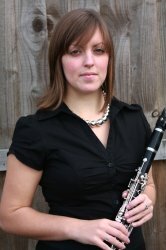 I am a woodwind tutor based in the Colchester area. My lessons have been focused towards making music an enjoyable learning experience, with fun, reachable goals opening student’s eyes to the ever changing world of music. An avid performer, and versatile instrumentalist, I specialize in the tuition of clarinet, bassoon and recorder, teaching to an intermediate level for saxophone and piano. I encourage my students, tailoring sessions to their individual needs, whether that is as a hobbyist musician, or academically entering for graded exams via ‘Guildhall’ or ‘ABRSM’ examining boards.